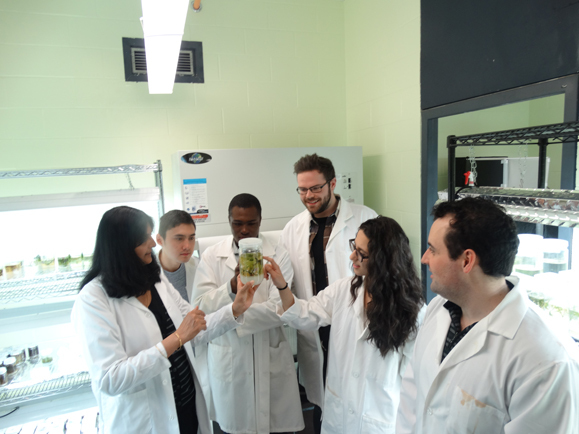 Congratulations to Arunika Gunawardena (Biology) who received the Canadian Botanical Association's Magister Teaching Award. The award recognizes plant biologists who have demonstrated a consistently high level of teaching excellence and teaching-related activities over at least 10 years. Thank you to everyone who voted for entries in the 2017 Science As Art calendar. Your votes will help us choose the photos & images that will be featured in next year's edition. You can look forward to seeing the winners this fall! Dan Falk (BSc’89) is among the recipients of the 2015 Science in Society Journalism Awards, presented by the Canadian Science Writers’ Association (CSWA). Read the full story on the Dal Alumni website. Last week faculty and staff gathered to celebrate departmental achievements and milestones. Congratulations to all on their accomplishments. Full list of awards and promotions can be found on the Dal Science news post. If you maintain active social media platforms and you'd like to become part of the online celebration around Dal's convocations, join in with the hashtag#DalGrad. If you're active on Instragram especially, feel free to share convocation preparation photos with the hashtags #DalGrad #BehindTheScenes. Or, you can email Caitlynne.hines@dal.ca with a short description of your photo and we'll share it on @DalhousieScience's Instagram account. Science convocation ceremonies are June 1. Title: "Mitochondria and the origin of eukaryotes"
These sessions will highlight some of Dalhousie's successes from the past year, discuss our progress towards the goals of our Strategic Direction and, most importantly, provide an opportunity to answer your questions and hear your feedback. The Canadian Network for Ocean Education ('CaNOE') is thrilled to announce registration is open for CaNOE’s 2nd Annual Ocean Literacy Conference & AGM! From June 9 to 11 in Halifax, Nova Scotia, we invite educators, scientists, communicators, artists, and industry to join the growing network of individuals working to advance ocean literacy in Canada! Follow the Faculty of Science on Twitter (@DalScience) and Instagram (@DalhousieScience). Share your experience in labs, classrooms and during fieldwork with #DalScience.